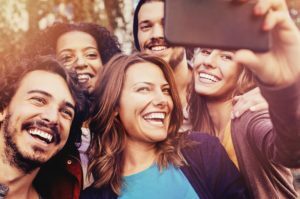 Becker’s ASC Review reports that Millennials, or individuals born roughly between 1980 and 2000, now number 73 million in the United States (according to the polling firm Gallup). They are well on pace to soon outnumber Generation X — their immediate predecessors — at all U.S. companies. Every generation seems to have something disparaging to say about the generation that follows it. Baby Boomers — called “drugged out hippies” by the “Silent” and “G.I.” generations — are now looking over their shoulder at Millennials and calling them needier, more entitled, and less hardworking than the generations before them. They also cite what they perceive as heightened self-involvement and a lowered work ethic. They know how to collaborate: Working across departments is key to success in revenue cycle. At National Medical, millennials collaborate seamlessly across job functions, are willing to take on responsibility and frequently bypass the traditional workplace hierarchy to get a task done. They work smart: At National Medical, we face a variety of complex issues daily that require deft problem-solving skills — and sometimes at odd hours. Yes, millennials appear much more focused on striking a work-life balance. But that doesn’t mean they’re unwilling to work on a Saturday if necessary. They understand technology: Today, it often seems as though anyone under 40 was born with an iPhone in their hand. Well, it’s probably not too far from the truth — and it’s a huge advantage for our clients. We work in dozens of different client-based software systems every day, and automation and analytics more and more are becoming part of our standard offering. In all aspects of our lives, we must be open to traditional and new views toward life. Even in payments! Look how long it’s taking to convert to an electronic world in all areas of payments – – and the diversity of payments is exploding! Each new payment model is “the next best thing.” Ask a product manager from Zelle or Same Day ACH or Faster Payments Initiative and they will all tell you how to change the world with their new approach. We believe one must build on the foundations we have set and maximize the productivity around that approach. In the case of healthcare payments, automating traditional EOBs and EOPs along with correspondence letters and checks enable providers to maximize the value of existing platforms, while building toward the future!